Today In from the Cold placemat will be featured. Moving from cold winters in Indiana to warmer Texas winters has been wonderful. I am truely ” In from the Cold” and do not miss those below zero bone chilling days. 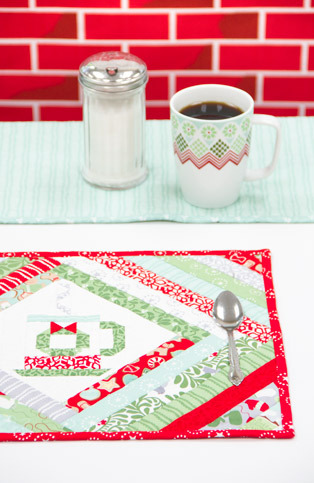 These place mats are easy and so cute with the mini mugs centered in the design. 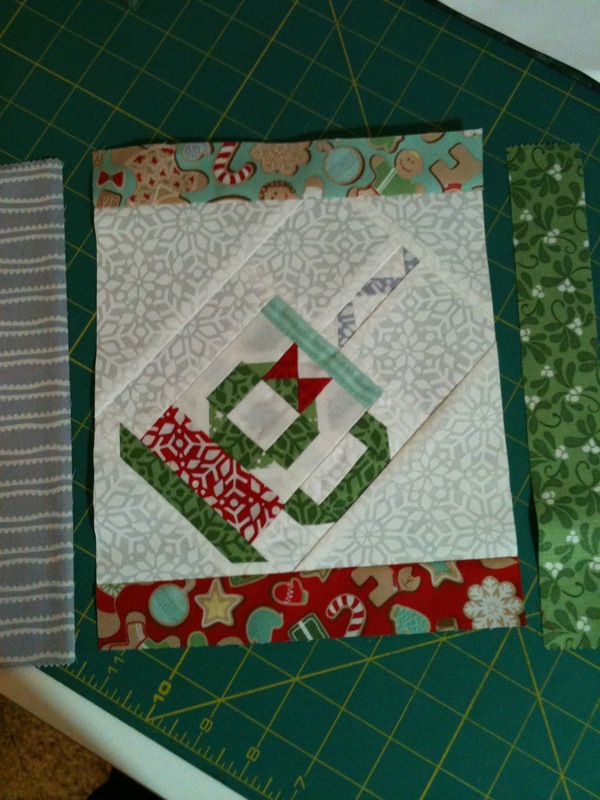 To start the project choose your favorite block for the center of each place mat. If you want to use any of the cute prints instead of creating the mini cup block that would be fine. Click here for directions to make the place mat. The strips are cut 1-1/2″ and just randomly placed around the center block in a log cabin style. I tried to not put the same color or same print together. When the piece gets wide enough just sew strip long enough to cover the size of the mat 14″ wide by 17″ long. Trim up the sides, layer and quilt. 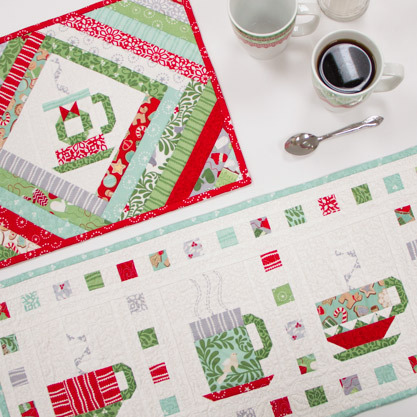 Make a set for you and for Christmas gifts, it’s not to early to start sewing for Christmas. After this place mat was made, I thought why didn’t I use the stitch and flip method that pieces and quilts all at one time. So if you want to try that way, go for it. You would just layer the backing, batting, and center piece in the middle and then add each 1-1/2″ strip by sewing the strip on and at the same time stitching all the layers together. Thanks for the cute patterns. I plan to make some as Christmas gifts. Thanks for motivating me to start on Christmas now, so that the projects actually are finished by Christmas! this is ADORABLE…thanks for sharing….I know EXACTLY what I’m making for a Christmas swap now! Phew! These are super cute! It’s never too early to be thinking Christmas!! I absolutely love your fabric and the so cute projects!! Thanks for sharing. Will those wonderful mugs be for sale at Crate and Barrel?